The trips will be led by expert polar diving guides from a separate company, Waterproof Expeditions. Those taking part would use drysuits designed for snorkelling, as well as gloves, hood, weight belt, fins, mask and snorkel. Water temperatures in the Antarctic hover around 28 degrees Fahrenheit (-2C). Passengers can take snorkelling trips in sheltered bays, off islands and above secluded ship wrecks, weather permitting. The operator is running a number of Antarctica-bound expeditions in February and March next year where the snorkelling outings will be available. It costs US$975/ £608 per person to take part in the snorkelling, while the cruise voyages are available from US$7200 (£4,492) per person. Re: Ole Handorf, former Chief Steward (Hovmester) on the JL polar expedition ships. I just here Sunday afternoon had a 30 minutes phone chat with Rosie Handorf in Hobart. Her husband Ole passed away yesterday Saturday 26 October 2013 at 1245 in the afternoon. The funeral, burial not cremation, will take place on Friday and Ole will be put to rest in the family grave in Hobart. Details will be in the papers on Tuesday. Rosie will remain living in their house. Rosie believes that Ole did close to 90 voyages to the Antarctic onboard Kista Dan, Magga Dan, Thala Dan and Nella Dan in total during his years onboard. Ole was 75 years old. ...'If there are any more budding model ship builders out there I do have the blueprints for the Nella Dan. George Cresswell writes '...This is a request for any information on motorcycles that were used by ANARE folks at Mawson, Davis or Wilkes in the early days. I’ve been invited to give a talk next month to the Australian Velocette Club. I took a 350 cc Velocette down to Mawson in 1960 where we used it to tow adventurers on skis and dog sleds. At the end of my year I sold it to Ted Giddings of the 1961 party. He made a sidecar for it and went on trips as far as Taylor Glacier. On my return ANARE asked me to buy a motorbike to send down and I ordered a 500 cc twin BSA, which I think went to Mawson. Talking with Ian Allison recently, he said that there were a couple of motorbikes at Mawson in 1969. And Alex Papij says he thinks that there was a motorbike at Mawson in his year – 1976. I am grateful to Ted and Ian for sending me photographs. Does anyone have any stories or photographs? George can be contacted via email here. Heard Island Expedition 2014: contact wanted. Expedition Organiser/ Leader Dr. Robert Schmieder is visiting the Australian Antarctic Division in Hobart, Tasmania, during Nov. 4-14 to discuss the expedition, the scientific projects, and arrangements for transportation and onsite support. The goal is a collaborative effort between the AAD, Cordell Expeditions, and other institutions that have expressed interest in participating. The expedition has broad scientific interests which can be grouped into 3 areas including Mountain, Environmental and Communication Science. Further information can be found on the expedition website www.heardisland.org. Bob is a (recent) member of the ANARE Club, motivated by his 1997 expedition to Heard Island. As mentioned above, Bob is making a trip to Hobart to meet with the AAD concerning a new expedition to HI, and wondered whether there might be other ANARE Club members, particularly veterans of Heard Island, in Hobart that he might meet and make friends with. Bob would greatly appreciate being put in contact with anyone who might be interested in meeting on a social basis while he is here (Nov. 6-14). He will be staying with a family in Hobart, Dennis and Shirley Gresham and can be contacted via email. The expedition website is www.cordell.org. The book Bob wrote about Heard Island can be downloaded from http://www.heardisland.org/HD_pages/HD_Documents.html. Cinderella, Heard Island 1951 by Arthur Giese. Finally the dispersal of the 135 oral history conversations made by myself with 63 ANARE expeditioners (1947-2011) between January 2011- November 2012 is complete! Much of the delay related to copyright issues.Without the written authority and assignation of copyright of those interviewed, many institutions were unwilling to consider donation of the oral history recordings to their collections. The importance of assignation of copyright was that it enabled me to approach a number of institutions and individuals on behalf of the interviewees. Although assignation of copyright cleared me to distribute the recordings as I saw fit, further letters were distributed to all 60 interviewees who had assigned copyright seeking further instruction on their preferences for distribution of personal recordings. The majority of interviewees were agreeable to their recordings being distributed to all the listed organisations and individuals. Several wished their recordings to be withheld from an organization or individual. The interviewees wishes re individual dispersal of their recordings have been respected. 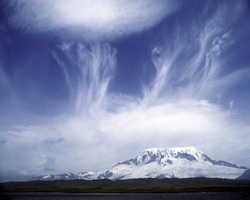 Recordings have been distributed on a hard drive (formatted for MAC) to the Australian Antarctic Division, Tasmanian Museum and Art Gallery, The Library of NSW, and Dr Elizabeth Leane, a senior researcher with the University of Tasmania and Institute of Marine and Antarctic Science who has an interest in Antarctic studies. Copies of the interview summary, individual copyright agreements and personal wishes on dispersal have also been forwarded to the institutions and the ANARE Club. A complete copy of all recordings was forwarded to the ANARE Club National Council in October 2012. I have since assigned any and all my rights to the rtecordings made by myself to the individual interviewees and their designated heirs in writing. There may be provision for further ANARE oral history recordings to be added to the hard drives in the future through separate approaches by individual interviewees or interviewers would need to be made. I was only able to organise dispersal of recordings with which I was involved. Although Barb Frankel, Denise Allen and David Ellyard also made some recordings, future dispersal of these recordings will be at the individual discretion of the interviewees and interviewers. Traversing Antarctica highlights Australia's connection with the Antarctic and has been developed by the National Archives of Australia in partnership with the Australian Antarctic Division and Western Australian Museum, with support from the Tasmanian Museum and Art Gallery and South Australian Museum. 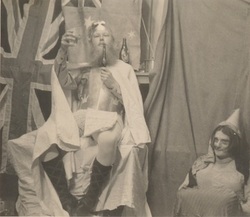 The exhibition is touring nationally until 2014. The ANARE Club and Pat Quilty were consulted by curator Jane McKnight for expert advice in the development stages of the exhibition (and appreciate being recognised on the exhibition acknowledgements board!) It is great to see a number of large format photographs by ANARE Club member Chris Wilson as well as several hobby items made by ANARE expeditioners in the exhibition. When: 24th August -24th November 2013. The Federal Government is backing away from a plan for a giant Antarctic marine reserve system in the face of international opposition. At its third attempt to gain approval, the 1.6 million square kilometre East Antarctic system put forward by Australia, France and the European Union is to be broken down to smaller pieces hoped to win approval. "The compromise that we've put on the table is, for those who are wary about the full outcome, let's look at a staged approach," Environment Minister Greg Hunt told reporters on Monday. "I would like to get the whole thing as soon as possible," Mr Hunt said. "But...If we can go to zero to something significant, I think that would be an outstanding success." The seven reserves cover distinctive areas of high biodiversity, and feeding areas for seals, whales and seabirds. They form the most biggest single system up for debate at the Commission for the Conservation of Antarctic Marine Living Resources. The East Antarctic stands beside a 1.3 million square kilometre Ross Sea Marine Protected Area proposed by New Zealand and the United States, already heavily modified following opposition to any reserves from Russia and Ukraine. CCAMLR's Polish chairman, Leszek Dybiec, signalled the East Antarctic proposal was in trouble when he told reporters as the meeting opened: "This year we believe we have a bigger chance to reach compromise. Maybe not for both MPA's, but for example, the Ross Sea." At a recent CCAMLR special meeting, Russia and Ukraine said the legal basis for the reserves was uncertain, according to the official meeting report. "...We cannot see any legal possibility for establishing (marine reserves) in the high seas of the world ocean containing areas for which CCAMLR is responsible," the Ukraine told the meeting in Bremerhaven, Germany. Ahead of the current meeting in Hobart, which runs until Friday, Foreign Minister Julie Bishop joined counterparts from all proponent countries in issuing a statement in support of the reserves. "The Ross Sea and East Antarctica regions are widely recognized for their remarkable ecological and scientific importance," the statement said. Mr Hunt said the atmosphere of this meeting had been very co-operative. "But I think the best way forward in terms of that advice is the staged approach…we're willing to put on the table the general principle of compromise approach." The Institute for Marine and Antarctic Studies (IMAS) at the University of Tasmania, is proud to join the Polar Law Institute in Akureyri and the University of Akureyri in Iceland, and the Northern Institute for Environmental and Minority Law of the Arctic Centre of the University of Lapland, the University of the Arctic, and the Arctic Law Thematic Network in Finland in organizing the 7th Polar Law Symposium. This will be the first time the event has been held in the Southern Hemisphere. because so much of what we know about Antarctica is through literature, art, film and music the last group of lectures will cover the influences these have on our perceptions. STAFF: Prof A McMinn (Unit Co-ordinator), Dr J Jabour, Prof M Haward, staff of other schools and external personnel. 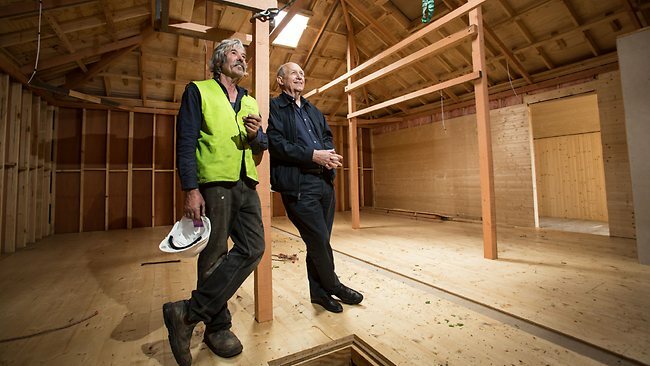 David Jensen, CEO of Mawsons Huts foundation is keen to hear from any volunteers whom are able to help with the staffing of the Mawsons Hut replica in Hobart. They have already engaged a full time manager who starts next week and are advertising for staff at the moment but David is keen to hear from any volunteers who may be interested in assisting. David wrote '...all museums as you know cannot function properly without a small team of volunteers who can be called on to assist, particularly in the first few weeks of operation. Staff numbers are yet to be determined but we would like to hear from anyone interested in the project and who has the time to offer their services as a volunteer. DOUGLAS Mawson had to contend with 250km/h katabatic winds and blizzards to build his wooden huts on the frozen continent, but the Antarctic hero never had to contend with building regulations. After years of planning and pleading for funds, the Mawson's Huts Foundation yesterday finally saw its vision of a full-scale replica of Australia's most famous Antarctic property take real shape. "This is the culmination of a four-year dream," said foundation chairman David Jensen, as the 83.6sq m replica huts were transported from a shed to their new home, at Mawson's Place, on Hobart's waterfront. The carpenters who built the huts used the same type of timber, oregon and baltic pine, that was used for the original huts, constructed in 1912, and even sourced it from the same timber merchant. Unlike Mawson, however, they had to comply with 21st-century building regulations. "Logistically, we had a lot of issues to deal with that the original huts didn't have," said builder and project co-ordinator Jon Tucker. "The original huts had to shift snow; these huts have to shift water (from rain). We had to build a complete false roof, with a waterproof membrane under it, so it's hidden from the public. And we had to fully fit the building code of Australia, including fans and ducting for air flow, to meet all the requirements of a public access structure." The next phase of the project is to fit out the hut interiors with bunk-beds, Mawson's den and even a replica of the darkroom used by the expedition's photographer Frank Hurley. Mr Jensen said the final challenge would be to find small items such as food tins, clothing, books and magazines that would complete the interior ahead of the huts' opening on December 2, the 102nd anniversary of the departure of Mawson's expedition from Hobart. University of Tasmania design students and staff are making some items but Mr Jensen is also appealing to the public to donate or lend items from the era. The huts, funded by a $350,000 federal grant and matching private business support, aim to generate enough door takings to meet the cost of sending expeditions to repair and maintain the original huts. A piece of Antarctic history is being brought to life in Hobart with the installation of a replica of the hut used by Australian explorer Sir Douglas Mawson. The full-scale wooden hut has been installed near the city's waterfront. Hobart traffic was stopped to allow sections of the hut to be driven several hundred metres along the waterfront and then craned into place. The replica is the exact dimensions of the original hut in Cape Denison on Commonwealth Bay used as the base for Mawson's 1911 expedition. The timber has been sourced from the same Scandinavian supplier used more than 100 years ago. Once the three sections have been joined together, items will be added to create a museum. The Mawson's Huts Foundation hopes it will generate funds for further preservation work on the real huts. The foundation plans to launch the replica hut museum on December 2, which marks 102 years since the Antarctic explorer set out from Hobart. A geologist, Sir Douglas Mawson lead Australia's first major scientific expedition to Antarctica in 1911. The expedition is credited with many scientific advances, particularly in cartography, meteorology, geology, biology and marine science. Mawson is remembered for his courage as he struggled alone on the trek back to base following the deaths of his two companions in 1913. He was also instrumental in the push to have sub-Antarctic Macquarie Island declared a wildlife sanctuary. Join Barry Jones and author, David Day as they discuss the life of Antarctic adventurer Douglas Mawson. Barn Gallery, Monsalvat, Victoria on 29 October @ 6.30pm. In Flaws in the Ice, a compelling and revealing new book award winning historian David Day draws upon the vast research he undertook for his international history of Antarctica and on his own six week odyssey sailing to the coastline where Mawson's reputation was first created. 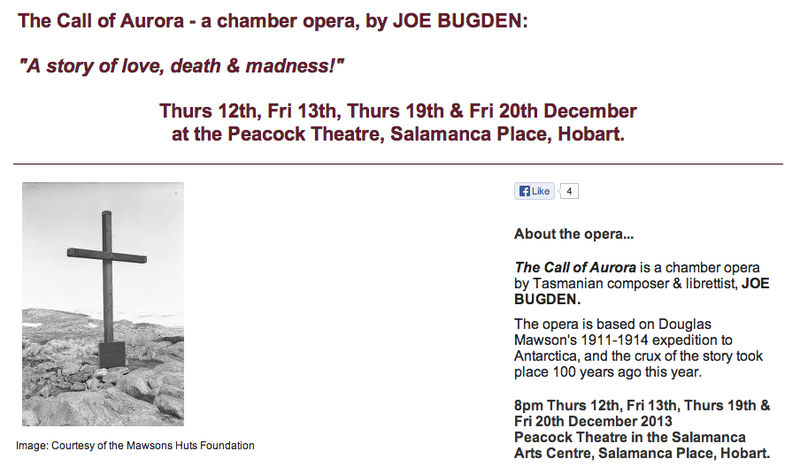 David answers the difficult questions about Mawson that have hitherto lain buried. A super hero or a flawed adventurer? Come and find out during this evening's brilliant conversation between the esteemed Barry Jones and David Day. David Day is an honorary associate at La Trobe University and a visiting fellow at the Australian National University. His many books include bestselling histories of the Second World War, biographies of Australian prime ministers and a study of Winston Churchill and Robert Menzies that has been made into a television documentary. His most recent book is the stunning Antarctica: a biography. Proudly presented by ELTHAMbookshop, Montsalvat & Scribe Publishing. Barn Gallery, October 29 @ 6.30pm. Single: $42.00; Couples: $52.00 includes a signed copy of the book per package, the conversation and a glass of wine and nibbles. 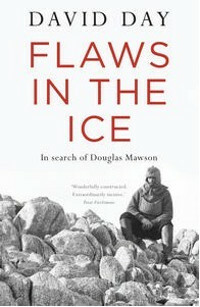 Description: Hear prize-winning historian, David Day at the on his latest title, Flaws in the Ice. 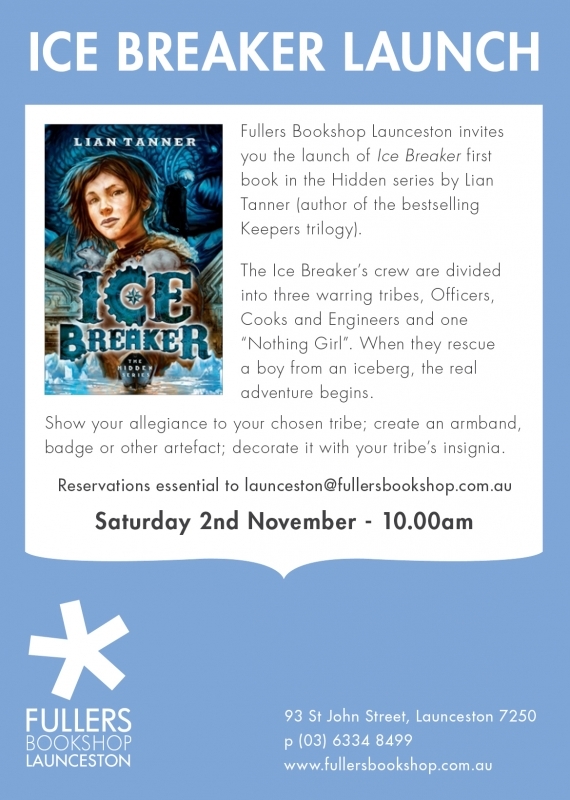 Copies of Flaws in the Ice will be available for purchase at the event. When: Thursday November 7, 6 for 6:30pm. Other: Copies of Flaws in the Ice will be available for purchase at the event. Mawson’s Huts Historic Site covers approximately 130 hectares and is the setting of the buildings, structures and relics of the Main Base of the Australasian Antarctic Expedition (AAE) of 1911-1914, led by Dr (later Sir) Douglas Mawson. The AAE was unique as the only expedition organised, manned and supported predominantly by Australians during the so-called Heroic Era of Antarctic exploration and is considered the foundation of the modern Australian Antarctic science program. Cape Denison is one of only six sites remaining from this era, and is the least disturbed of the six. The management plan provides a management and administrative framework to help guide decisions and on and off site actions that help identify, protect, conserve, present and transmit the National and Commonwealth Heritage values. This plan revokes and replaces the Mawson’s Huts Historic Site Management Plan 2007-12. Jack was one of Nature's gentlemen. Athough I never had the pleasure of his companionship in Antarctica, we made up for that tp some extent in recent years through the Antarctic veteran's group "The Chelsea Pensioners". Jack had a quiet unassuming manner, a wry sense of humour, and in my humble opinion, an extraordinary intellect. He will be sadly missed by all of his ANARE friends. Rest in peace dear friend. Alex Brown. Jack Ward died on Saturday 14th September 2013 aged 92. He would have been 93 on the 1st October. How to describe Jack...he was quite simply a delight, an absolute gentleman, an astute observer of himself and others. He had a great love of organ music, and appreciation of art and conversation. There will not be a funeral service as per Jacks wishes. Nella Dan model display in Hobart...stories wanted! As part of the upcoming Tall Ships event in Hobart from 20-24 September, the Australian Antarctic Division is displaying a large and superbly crafted scale model of the MV Nella Dan at the Princes Wharf No 1 . Many of you will have fond memories of the Nella Dan, which served ANARE for 26 years as a scientific research and supply ship before running aground at Macquarie Island in 1987. The scale model, which was built by the Ships Modelling Society in Melbourne and donated to the Australian Antarctic Division a few years ago by the National Trust, has been cleaned and polished expertly spruced up by Rod and Jeanie Ledingham. At 3 metres long and 700mm wide and weighing over 200 kg it is a sight to behold and should attract plenty of interest as part of the Tall Ships event. It’s great to see it outside its packing case! If any staff or your friends and family with fond memories or experiences of the Nella Dan would like to assist with the display, event Manager Paul Cullen would love to hear from you. Paul is hoping bring the model alive with former expeditioners talking to visitors about life on board the Nella Dan. Paul can be contacted at: manager@australianwoodenboatfestival.com.au. I have a phone number is anyone wants that. AAD is also displaying one of our LARCs at the event and anyone wanting to entertain the crowds which their LARC stories are also very welcome. Nella Dan sailed to the Antarctic every year of the twenty-six years she was chartered by the Australian National Antarctic Research Expeditions (ANARE). On her last fateful voyage in December 1987, during resupply operations, Nella Dan dragged her anchor and was driven aground just metres off Macquarie Island. A decision was eventually made to scuttle her and at 05.42 pm on 24 December 1987, she was sunk in deep water off Macquarie Island. The concept for a club or joint build model model was introduced to the Ship Modelling Society of Victoria (SMSV) by Mr. Norm Neale at the November Meeting 1970. He proposed: “to construct a sailing model of a ship as a joint project for members”. The choice of the Nella Dan as the subject of this model was taken in early 1971 with support being provided by National Antarctic Expedition in the provision of plans. The project was undertaken as a club build with the following members meeting two hours ahead of the main monthly club meetings to complete the model. The recorded (club newsletters) participants in the build include: Les Gooch, Norm Neale, Phil Molyneux, Tom Hadley, Kevin Lang, Bill Middleditch, Don McGraw, Denis Kendall and later Sid Rose. The “remotely controlled” model took some 3000 hours to build and was constructed to 1/12 scale from Western Red Cedar, brass windows and portholes (with glass inserts) and the hull laminated externally with fibreglass. The overall dimensions of the model were 10ft x 18inches by approximately 18 inches draft. The model was powered by a 6V aircraft starter motor and controlled using a model aircraft RC unit. The model was capable of turning to port or starboard but restricted to forward motion only due to the complexity of trying to simulate “reversible pitch” propellers. The model was launched by Mrs. Sid Rose at Albert Park Lake at 10:00 am on Sunday, 2nd December 1973. There were 14 SMSV members and 8 guests in attendance with Channel 2 providing TV coverage which was aired in the evening news a few days later. The model was initially loaned to the National Trust (Polly Woodside) for display but in 1910, the model was returned to the SMSV. It was then donated to ANARE who shipped it to Tasmania where it is now on display in the AAD foyer outside the library of the ANARE club. Click here...These photo images are provided by SMSV members for the benefit and interest of model ship builders. Please note that all photo images on this site are subject to copyright and must not be used for any commercial purposes without the permission of the owner. ...Yesterday, the Mawson's Huts Foundation provided a first look at the replica that will have a permanent home on the lawns on the corner of Argyle and Morrison streets. The hut is to be moved to the site next month and will be open for the start of the summer tourist season in early December. Mawson's Huts Foundation chairman David Jensen said the replica hut being built in a shed at Macquarie Point was about one-third complete. "We think it will be a major new tourist attraction for Hobart, it will cement the city's status as the gateway to the Antarctic and it will generate funds for the ongoing preservation of Mawson's Huts," Mr Jensen said. The attraction will be officially opened on December 2, the 102nd anniversary of the departure from Hobart of the 1911-14 Australian Antarctic Expedition led by Mawson. Carpenters including Peter McCabe and John Tucker are passionate about the build, having worked on the real thing at Cape Denison in Antarctica.The framework is in place with cladding of the roof and walls due to start soon. The original hut was prefabricated and erected by Mawson's scientists and adventurers.The living space is a little bigger than a two-car garage. Within these cramped quarters, 18 men spent two long winters. The project has been funded through a $350,000 Federal Government grant. Mr Jensen credited Labor Senator Carol Brown and candidate for Denison Jane Austin for lobbying for the grant. Tourism Minister Scott Bacon said the hut would be an important addition to tourist attractions on the waterfront. The Club AGM will be held at Hadley’s in Murray St, Hobart. on Friday 13th September at 7.00 pm. If we are to have a fantastic midwinter dinner in 2014 with members choosing Tasmania for their reunions we need support from you, our local members. Please attend the meeting on Friday 13th September...it will run for less than one hour. Former station doctor on Macquarie Island, James Doube, received the Antarctic Medal at a ceremony at Government House in Adelaide today. Dr Doube’s award for outstanding service to the Australian Antarctic program was announced in 2012 by the Governor General, Her Excellency, Quentin Bryce AC CVO. At a special investiture ceremony this morning, Dr Doube received the medal from His Excellency Rear Admiral Kevin Scarce AC CSC RANR, Governor of South Australia, Dr Doube’s home state. Between 2006 and 2012, he filled multiple roles – station doctor, search and rescue leader, field training officer and watercraft operator. He also served two back-to-back seasons from 2006 to 2008, and again from 2009 to 2011 – unusually long stints for he which he volunteered. It is rare for an Antarctic medical practitioner to be assigned over such an extended time, let alone for outstanding service to be sustained at a superior level across so many aspects of an annual Antarctic program. 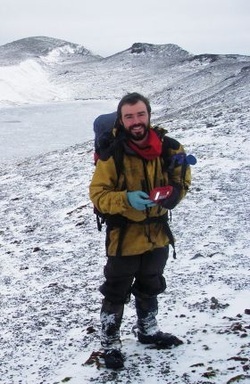 Dr Doube’s exceptional level of skill across a variety of disciplines including generalist medicine, expedition medicine, public health and occupational medicine led to his recognition for nomination an Antarctic Medal. He has contributed individually and as a team member to the fabric and success of each voyage and expedition in which he has been involved, and has been an inspiration to other doctors in the practice of remote medicine. Read more about Dr Doube's career and the Antarctic medal. Antarctic Film Festival: some open category entries..
As well as the 48 hour section, there is also an open section which is 'free form'..no elements required. As well as Maccas 'The Romantics' there were some great short films. 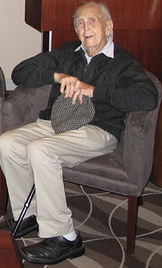 Peter Wylie King passed away peacefully at Karingal, Devonport on September 4, 2013, aged 92. Peter had become increasingly frail over the last few years. However he remained cognitively sharp and always liked to talk about his great love for his time with ANARE. He certainly had enough to talk about: Peter wintered at Macquarie Island in 1948, with the British Antarctic survey at Hope Bay in 1953 and John Biscoe in 1955, Mawson back to back in 1957 and 1958, Casey 1977, and finally Macquarie Island 1979. Peter told me once...'I never dreamed I'd ever get down there... The ship I was on was sold in Shanghai. I had it in my contract to come to Australia...That was in 47. ANARE had just started and I said to me mates '..oohh I'd love to go'...and a mate replied 'write to Douglas Mawson'..
Peter will be greatly missed by his Tasmanian and other ANARE friends. His stories will be remembered, not only now, but also in the future as he made over 5 hours of recordings as part of the ANARE oral history project. A copy of these recordings is also held by the BAS archives. 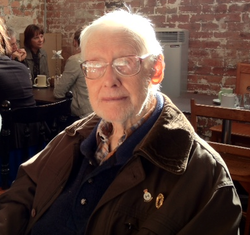 A funeral service will be held at the Karingal where Peter had lived for the last 10 years, in the Chapel, Lovett Street, Devonport on Tuesday September 10, 2013 at 2 pm. Born 14.10.21. Served as a radio officer in the British Merchant Navy during the Second World War and also had two years with the Royal Air Force as a radio operator. He worked as a radio officer in a Norwegian cargo boat which was sold in Shanghai. He left England in October 1946 for Adelaide, Australia in 1947, having written to Sir Douglas Mawson applying for the position as Radio Operator for an Australian Antarctic Expedition then being formed. He was selected to serve on Macquarie Island for the first year in 1948 . In 1951 he returned to England and joined the Falkland islands Dependencies Survey, spending 1952-3 at Hope bay working on the hut and installing radio equipment. During this tour at Hope Bay he took part in a sledging journey to Duse Bay and Cape Lachman. After this he took over as Radio Officer in RSS John Biscoe for two seasons, during which he visited South Georgia and all the British bases in the Antarctic Peninsula. In 1955 he returned to Adelaide and applied to to south again with the Australian National Antarctic Research Expedition and was selected to go to Mawson Station in late 1956. He flew to New Zealand and then via the American icebreaker orthwind visited Mc Murdo from where he visited the American base at Cape Adare and transferred to MV Kista Dan off Wilkes (now Casey Station), then on to serve at Mawson Station during 1957 and 1958. During the first year he twice visited Taylor Rookery (Emperor Penguins) for two weeks and two weeks in the Prince Charles Mountains at Beaver lake. In the second year he helped full time with the dogs. He and two others were flown to Amundsen bay by Beaver Aircraft with sledges, dogs, food and equipment. From Amundsen Bay they did a 10 week and 410 mile running traverse back to Mawson Station. A mountain (Mt. King) 1,425m high in Enderby Land is named after him. In 1977 after some twenty years interval he was again selected to fill the appointment of Radio Officer at Casey Station during which he took part on a three month ice core drilling trip some 50 miles inland from casey Station. Finally, in 1979, he went back to Macquarie Island as Radio Officer. The films were to be around 5-6 minutes and shot and edited over 48 hours (the weekend of 3rd-4th August). To ensure no bending the rules, the stations were provided a list of five elements on the Friday afternoon. These elements were chosen by the winners of last years film festival, Kerguelen Island. - The sound of an "Authentic Sneeze"
- Someone must say "Voulez-vous coucher avec moi ce soir"
- The character "The Gingerbread Man"
DAVIS entry: Boys will be Boys...love it! Davis Station's 2013 entry in the Antarctica 48hr Film Festival. Screening at a 24 Hour's of Daylight location near you this summer. And we haven't been able to find one for the 48 hour category from Macquarie Island...but they did do that fun short film earlier in the year which was submitted for the OPEN section of the Antarctic film festival...That video can be accessed here. To create A Year on the Ice Antarctic photographer Anthony Powell spent 10 years (and nine winters) clocking the continent on camera: from the 24-hour darkness of winter to desolate, stunning polar vistas (blazing aurora, freezing ice storms) and the creatures and humans who are based there. Time-lapse imagery — Powell’s speciality — evokes the ever-changing patterns of polar life. Powell’s images have screened on National Geographic, Discovery and in BBC’s Frozen Planet. Scored by Plan 9, A Year on the Ice is due to debut at the 2013 NZ Film Festival.